ASUS Republic of Gamers (ROG) hosted the Join the Republic press event at Computex 2016 on Monday, May 30, 2016, marking its first full decade of premium gaming innovation and market leadership — and unveiling a new line-up of elite gaming gear. 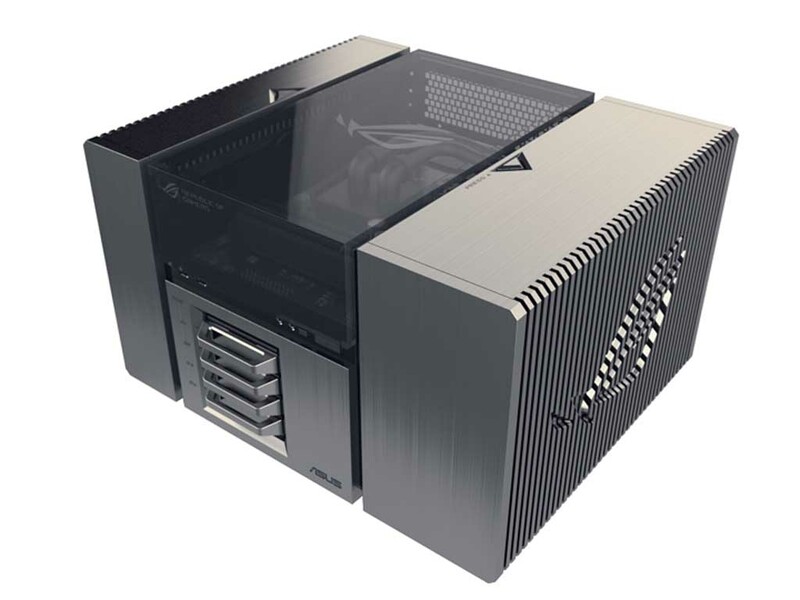 Unveiled for the first time was ROG Avalon, a proof-of-concept build that envisions the future of gaming PCs beyond the standard form-factors. Product reveals included Rampage V Edition 10, a celebratory refresh of ROG’s flagship gaming motherboard, and G31 and GX800 — respectively the world’s most-powerful compact gaming desktop and gaming laptop. Also shown for the first time were Swift PG248Q, a super-narrow-bezel gaming monitor with an overclockable 180Hz refresh rate, the Centurion gaming headset that delivers true 7.1-channel surround sound, and XG Station 2, an innovative external graphics dock. Strix was also introduced as the newest recruit to Join the Republic, with ROG Strix GeForce® GTX 1080 revealed as the first gaming graphics card to carry the ROG Strix branding. Commenting on ROG’s decade at the top, ASUS Chairman Jonney Shih, said: “I’m incredibly proud of ROG’s achievements over its first 10 years, and the announcement at the event demonstrates that our commitment to extreme performance and gaming superiority is undiminished. I guarantee that ROG’s second decade will be every bit as exhilarating. Today is a celebration of our success — and proof that ROG’s epic innovation and dominance continues at full strength." To bring the 10th celebration to the Philippines, one of ASUS’ most promising gaming markets, two of the new lines, ROG Strix GL502 and ROG GT51, will be unveiled at an exclusive media junket this June alongside with gaming new desktops, graphics cards, high-end monitors and gaming peripherals. To celebrate ROG’s 10 glorious years of pioneering motherboard design, we have dedicated ourselves to raising the bar — with ROG Avalon. This is the first step to our vision of the future of DIY, built around an all-new motherboard and chassis design. By rethinking the limits of the ATX form-factor and redesigning the motherboard and case as a single entity, rather than as two items in tandem, we were able to optimize the layout to alleviate the most frustrating parts of the DIY process. Avalon features SSD, PSU and graphics-adapter boards for plug-and-play simplicity without messy cabling, and simultaneously brings each component to the forefront for easy access. Avalon’s Z170 chipset-based motherboard also comes with a modular rear I/O for customized connectivity options to fit every need. Join us and Avalon to forge a better future for PC gamers. Rampage V Edition 10 is a celebratory refresh of ROG’s flagship extreme-performance motherboard designed to let gamers break every limit. Based on the Intel® X99 chipset for the new Intel® Core™ i7 processor family for socket LGA 2011-v3, the new motherboard sets fresh industry standards. It features the ultimate RGB lighting scheme with five independently-controlled onboard LED areas plus one 4-pin RGB header, and all can be synchronized by the all-new Aura software for stunning aesthetics. ROG has also teamed up with well-known RGB strip-makers and case manufacturers, including CableMod, IN WIN, DEEPCOOL, BitFenix, and Phanteks — helping gamers to light up as easy as RGB wherever they see the Aura Ready logo. The new motherboard is equipped with multiple exclusive technologies to aid extreme overclockers. These include Extreme Engine Digi+ voltage-regulator module (VRM) for the cleanest, smoothest power, ASUS-exclusive T-topology technology for maxed-out DDR4 performance, and 5-Way Optimization for easy and stable overclocking with one click, including Fan Xpert 4 for the ultimate cooling. Rampage V Edition 10 also includes multiple technologies to deliver best gaming experiences. The included SupremeFX Hi-Fi audio amplifier ensures flawless audio, dual Intel Gigabit Ethernet and GameFirst combine forces for no-lag networking, and all-new ASUS SafeSlot is the reinvented, reinforced PCI Express® slot that adds strength to every build — protecting gamers’ graphics-card investments. The new board introduces a patent-pending integrated I/O shield for style, easier construction and enhanced durability. It also accelerates every transfer with extensive connectivity onboard, including U.2, M.2, USB 3.1, and 3x3 Wi-Fi. ROG G31 Edition 10 is a special ROG 10th-anniversary gaming desktop PC featuring a compact, 20-liter chassis, one-click CPU overclocking, and an NVIDIA GeForce GTX 1080 GPU with 2-way SLI for the ultimate 4K UHD gaming experience. 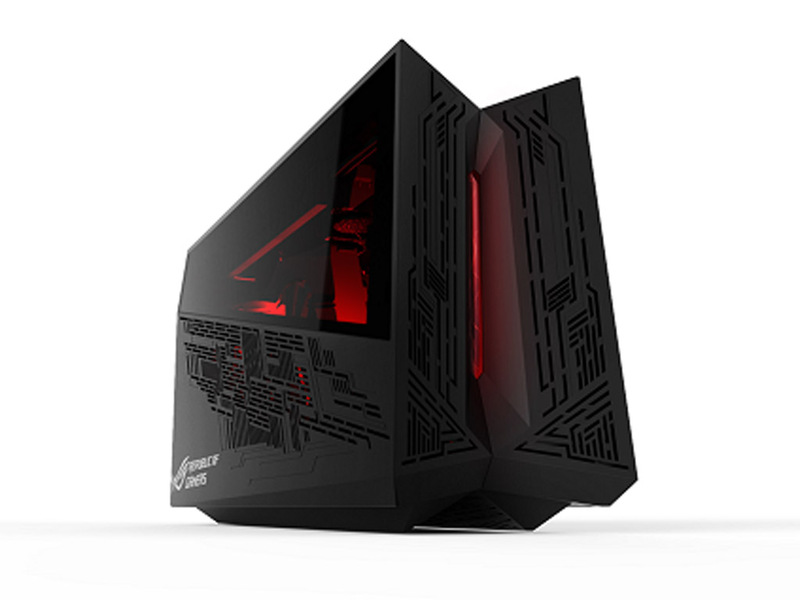 It has a futuristic design with Mayan-inspired markings and ROG-exclusive 3D vapor-chamber thermal technology with dual hidden-airflow channels that help keep the system cool and quiet. A dedicated ESS® audio DAC and amplifier headphone jack delivers Hi-Fi-grade audio to a gaming headset. GX800 builds on the success of GX700 — the world's first liquid-cooled gaming laptop — to claim the crown of the world’s most-powerful gaming laptop. GX800 is engineered with the latest NVIDIA SLI GPU and Intel K-series CPUs for powerful desktop-like performance, with two 330W power supplies for uncompromising gaming experiences. It also offers upgraded exclusive liquid-cooled docking station to enable extreme overclocking of the CPU, GPU and DRAM. ROG GX800 also features a mechanical keyboard — called MechTAG, or Mechanical Tactile Advanced Gaming — with a solid keystroke action. It is also illuminated by multicolor (RGB) LEDs with key-level customization, and has anti-ghosting technology across the whole keyboard to prevent missed key-presses. Swift PG248Q is a 24-inch 16:9 LED-backlit display with Full HD (1920x1080) resolution. This new gaming display is ready for NVIDIA’s G-SYNC™ , plus its overclockable 180Hz refresh rate and 1ms grey-to-grey (GTG) response time help eliminate screen tearing and choppy frame rates for seamless visuals and smooth gameplay — enabling gamers to react instantly to what they see on screen. 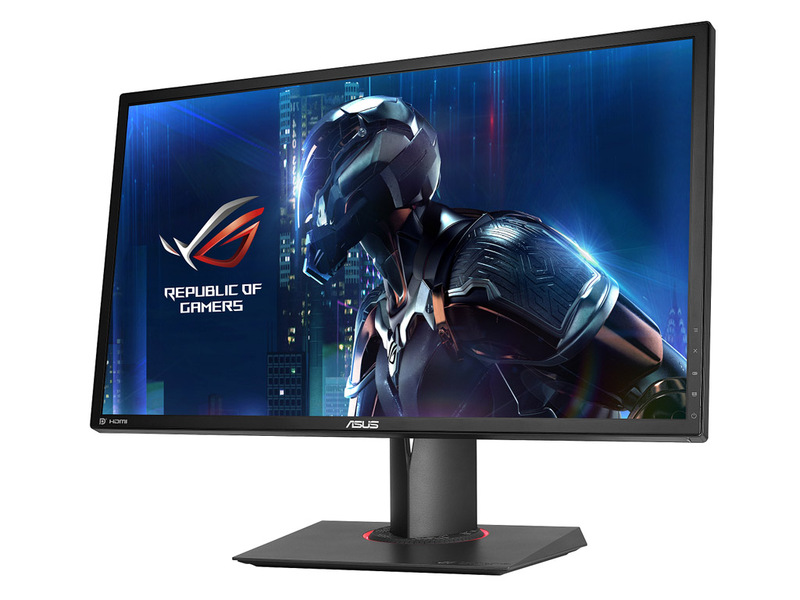 Swift PG248Q also boasts ASUS-exclusive GamePlus including crosshair, timer, FPS counter, Display Alignment and GameVisual technologies for six preset display modes. With a super-narrow-bezel design that’s brilliant for surround-display setups, Swift PG248Q is made for frantic-action gaming — and it’s perfect for eSports fans. Centurion is ROG’s latest gaming headset, delivering true 7.1-channel surround-sound direct to the listener’s ears, through 10 individual neodymium-magnet drivers. It includes a noise-canceling digital microphone for clear communication, and a Hi-Fi-grade ESS headphone amplifier. 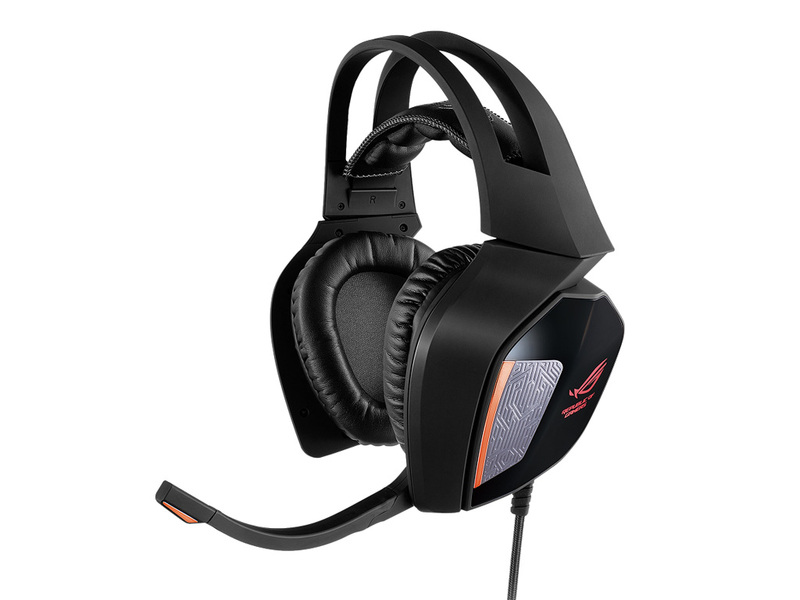 Full audio control is available through ASUS Sonic Studio, and two sets of interchangeable ear cups are included, offering instant customization and maximum comfort. Centurion also includes a USB audio station for fingertip control over almost every aspect — ideal for mid-game adjustments. ROG XG Station 2 is an external graphics-card dock that turns a laptop into VR-gaming powerhouse. A 680W power supply is designed inside and supports the latest NVIDIA GeForce GTX and AMD Radeon™ graphics cards. ROG XG Station 2 is equipped with Thunderbolt™ 3 and an exclusive proprietary connector that improves performance up to a further 15%. It’s easy to connect and can be unplugged without restarting the laptop — and includes four USB 3.0 ports and a gigabit LAN socket for extended connectivity and convenience. ROG Strix GeForce GTX 1080 is a 1936MHz-overclocked gaming graphics card, with ASUS-exclusive DirectCU III technology and a patented triple-wing-blade 0dB fan design to deliver maximum airflow for performance that’s up to 30% cooler and three times (3X) quieter. 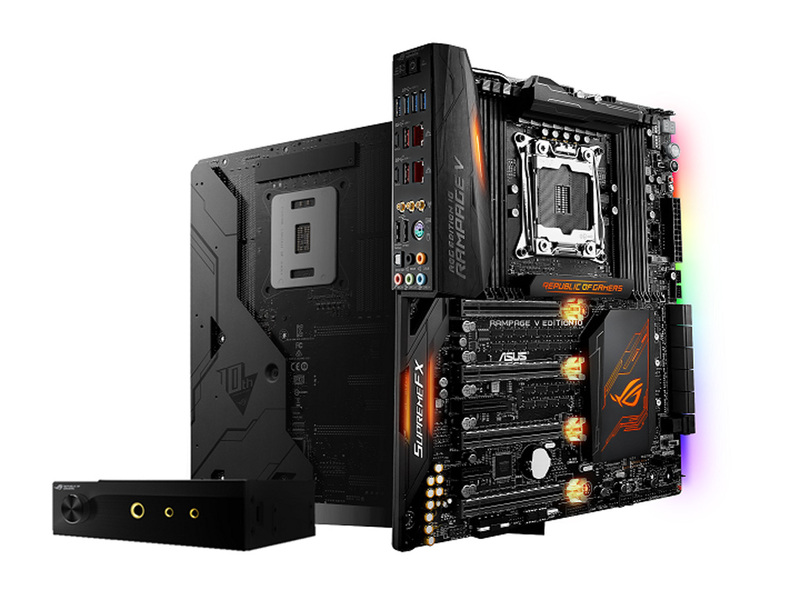 The new card features ASUS-exclusive FanConnect design, with two 4-pin GPU-controlled headers that can be connected to system fans for targeted supplemental cooling and optimal thermal performance. ROG Strix GeForce GTX 1080 includes exclusive ASUS Auto-Extreme technology, the industry’s only 100%-automated production process for premium quality and reliability, and benefits from two VR-friendly HDMI ports — so gamers enjoy immersive virtual-reality experiences without having to swap cables. It also has integrated Aura RGB LED lighting to display millions of colors and six different effects for a personalized gaming system. ASUS-exclusive GPU Tweak II with XSplit Gamecaster are included intuitive performance-tweaking and instant gameplay streaming. Computex 2016 also serves as the showcase for many popular ASUS ROG and ROG Strix products. Headlining is the new ROG Strix X99 gaming motherboard, with a bold design and bright colors that channels the spirit of fierce individualism. ROG Strix X99 Gaming features Aura RGB lighting and controls plus custom color decals for beautiful aesthetics, and delivers superior gaming experiences with SupremeFX and Sonic Radar II audio technologies, Intel Ethernet and GameFirst for no-lag networking, while OC Socket and 5-Way Optimization auto-tuning technology including Fan Xpert 4 deliver maxed-out performance and ultimate cooling. ROG GT51, winner of a 2016 CES Innovation Award in the Gaming and Virtual Reality category, is powered by a 6th-generation Intel Core i7-6700K processor and supports up to NVIDIA GeForce GTX 1080 (2-way SLI) for the performance to run smooth, stutter-free 4K UHD gaming at over 60 frames per second (fps). ROG Turbo Gear lets users maximize GT51’s full-core CPU overclocking potential with just one click — all the way up to 4.6GHz. GT51 has an audiophile-grade ESS DAC with a front-panel amp for immersive in-game audio plus an aggressively designed ATX case with an Armor Titanium and Plasma Copper finish, a transparent side window, and dynamic lighting effects across four zones that showcase up to 8-million colors. GT51 also features the exclusive ROG Band to let users activate Shadow Drive — a hidden hard-drive space — or overclock GT51. ROG G701 is a portable and stylish gaming laptop powered by NVIDIA GeForce GTX 980 graphics and 6th-generation Intel Mobile K-series (‘Skylake’) processor. It allows gamers to enjoy desktop-grade power and ultra-fast performance on the go. G701 provides up to 64GB DDR4 RAM for faster, more energy-efficient performance, and also goes along with a backlit anti-ghosting gaming keyboard with 30-key rollover for precise input. It also provides an ESS DAC and amplifier for richer, more detailed in-game audio with less distortion. ROG Strix GL502 is a stylish, compact gaming laptop offering high-end performance and breathtaking visuals. It features a 15.6-inch, non-glare in-plane switching (IPS) 4K UHD or Full HD panel, up to NVIDIA GeForce GTX 980M graphics with 8GB of GDDR5 VRAM, and NVIDIA G-SYNC display technology. All these advanced display technologies work in concert to provide gamers truly stunning visuals and the best, most entertaining experiences possible. This lightweight design is combined with the latest Intel Core i7 processor, up to 32GB of 2133MHz DDR4 RAM, and an optional SSD to deliver amazing performance with the latest games. 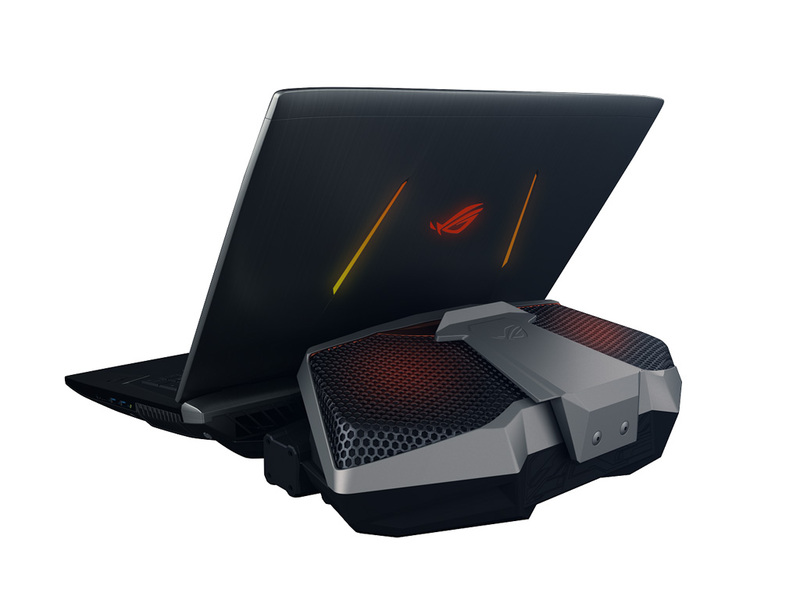 ROG Strix GL702 comes with a 17-inch panel, an improved triple-copper thermal module for better cooling performance, and a USB Type-C port with Thunderbolt 3 for external graphics support. ROG Spatha is an 8200DPI laser gaming mouse crafted for MMO glory. It has a magnesium-alloy chassis and features a total of 12 programmable buttons, including six ergonomic thumb buttons. Its left and right buttons feature an easy-upgrade, socketed-switch design for customizable click-feel, with Omron® switches giving users a 20-million-click lifespan. Users have the freedom to use it in wired or wireless modes, and can enjoy a polling rate of up to 2000Hz when in wired mode. In addition, it has customizable RGB LED effects across three zones. ROG Claymore is a gaming keyboard with Cherry MX RGB mechanical switches (Red, Blue, Brown, and Black options) and a detachable numeric keypad with macro functions to give users flexible placement options. This keyboard features individually backlit, customizable keys with 16.7-million-color RGB lighting and N-key rollover technology. It can be synced with both ASUS and ROG motherboards, and has hotkeys that allow users to control fan speed and monitor the CPU temperature via Claymore’s backlight. It’s also possible to use the hotkeys to control LED synchronization between Claymore, ROG mice and Aura-ready motherboards, and to boot the system with the CPU overclocked. ROG Claymore has a durable aluminum-alloy frame with Mayan-inspired detailing for a premium look. Visitors to the ROG stand at Computex 2016 have the unique opportunity to see how ROG and VR industry-leader Oculus™ are working together to create a future of unprecedented gaming immersion. In the standing area, Oculus Rift and Touch will be demonstrated. 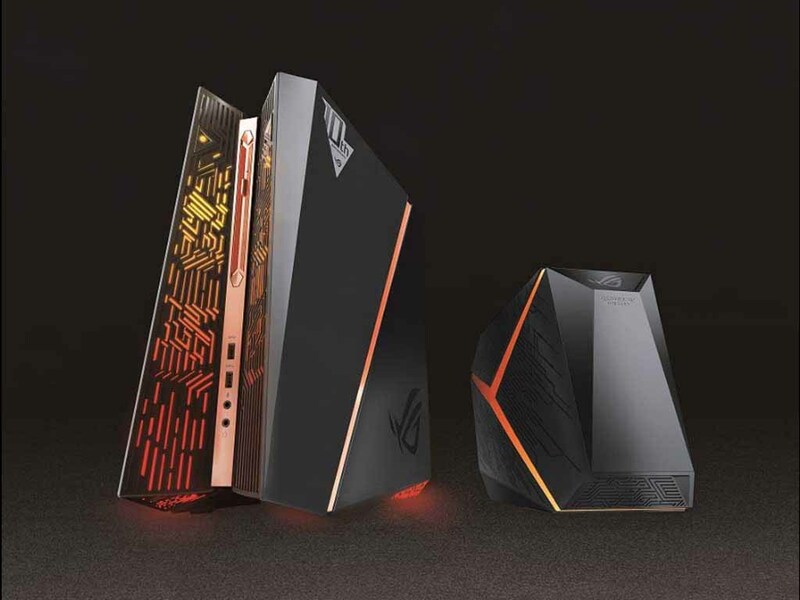 These will be connected to ROG’s gaming-powerhouse desktops and Oculus Ready PCs, G11 and G20 — bringing virtual-reality worlds to life as never before. In the seated area, we will be offering Oculus Rift demonstrations powered by DIY PC builds based on ASUS ROG gaming gear. These dual demonstration areas offer a taste of VR today and enticing vision of tomorrow, as ROG will continue to work closely with industry partners to ensure that ROG’s revered gaming gear offers the best compatibility with the latest VR technologies. Tune into ASUS Philippines’ social media pages for more information on local pricing and availability.